Oxygen Detective® is a complete match for busy forensic labs, accelerating data acquisition from multiple devices by distributing time-consuming operations between multiple workstations. Displays the list of hotspots the examined Apple device was ever connected to with dates and times of first and last connection. 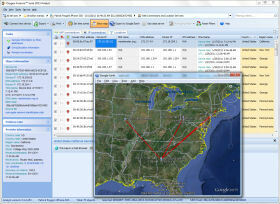 Oxygen Forensic Suite automatically determines the geographical position of each hotspot and shows it using Google Maps. 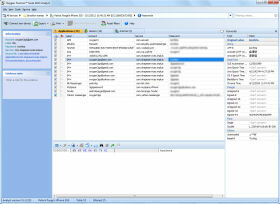 The built-in SQLite browser not only displays the actual data, but also unallocated blocks where you can find deleted contacts, calls and message information. These viewers make the process of analyzing Apple devices much more convenient, since SQLite databases is the standard storage format for data and Plist. 250+ applications user data: Apple Maps, Booking.com, Facebook, Google+, Paypal, Safari, Skype, Viber, Whatsapp, etc. 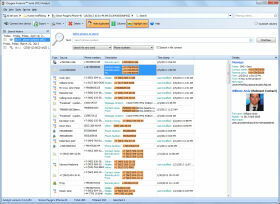 Oxygen Forensic® Detective Enterprise has all Detective features. It includes Applications, Passwords, Deleted data recovery, Timeline, Aggregated Contacts, Social Graph, Links and Stats, Search and other features. One server with one USB dongle manages all connections. There is no need to have USB dongles on all computers. All workstations use one USB dongle plugged-in to the server. No more expenses for occasionally used software. Oxygen Forensic® Detective Enterprise counts only workstations that use Oxygen Forensic® Detective at the moment and not every PC where it is installed. 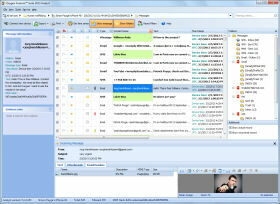 Oxygen Forensic® Detective Enterprise allows both local and Internet connections. 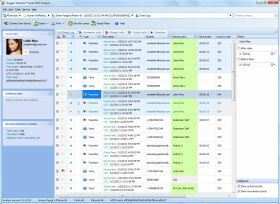 You are not limited to use Oxygen Forensic® Detective in a lab. Connect remote experts via Internet if needed. 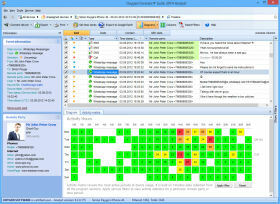 Manage your multi-user license easily. It is much easier to update license in one dongle on the server than on every workstation that uses Oxygen Forensic® Detective. You can choose how many concurrent connections you need. 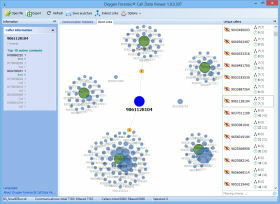 Oxygen Forensic® Detective Enterprise is distributed as follows: 5, 10, 20 and 50 concurrent connections. Oxygen Forensic® Call Data Expert is a forensic program that allows importing and analyzing CDR files (Call Data Records) received from mobile service providers regardless of the difference in their column formats and file layouts. Web Connections & Locations section reveals suspects’ visited places and routes. 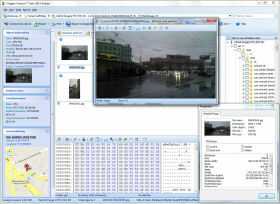 Experts can analyze several sources of Geo data: Wifi connections, IP connections and Locations databases. 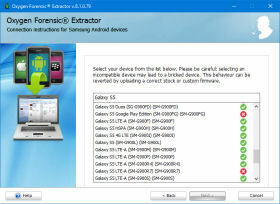 Oxygen Forensic® Detective offers a new physical method for Samsung Android devices using our forensic custom recovery function. This approach covers the latest Samsung devices based on Android OS, like Galaxy S5, Galaxy S6, etc. 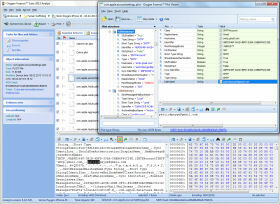 Plist files, known as Property List XML Files, contain a lot of valuable forensic information in Apple devices. Browser history, Wi-Fi access points, speed dials, Bluetooth settings, global applications settings, Apple Store settings and even more data can be extracted from .plist files. SQLite Viewer allows to explore the database files with the following extensions: .sqlite, .sqlite3, .sqlitedb, .db, .db3. Experts have the access to the actual and deleted data stored in databases created by system and user applications. 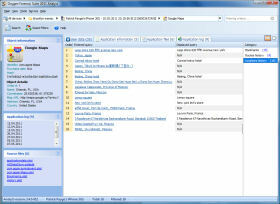 Timeline allows to view all facts of mobile device usage in one sorted list. This section organizes all calls, messages, calendar events, geo data and other activities in chronological way, so you can easily follow the conversation history without the need to switch between different sections. 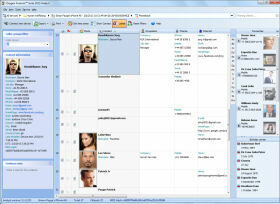 Analyze contacts from multiple sources such as the Phonebook, Messages, Event Log, Skype, chat and messaging applications in Aggregated Contacts. 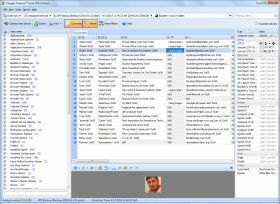 Section automatically reveals same people in different sources and groups them together in one meta-contact. 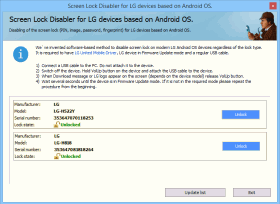 Rooting a device based on Android OS reveals the complete set of user data to the investigator. Generally this procedure needs certain knowledge and research, but Oxygen Forensic® Suite helps experts to automate this operation. 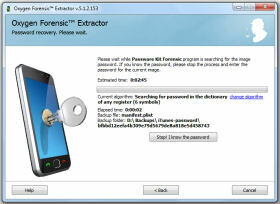 Oxygen Forensic® Suite Analyst allows to import and parse data from various device backups and images created by sync software or other forensic products. 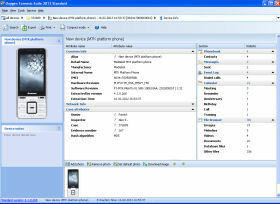 BBB and IPD are the Blackberry device backup files made with Blackberry Desktop Manager. These files can be found on a suspect computer or external media like CD, DVD, memory disks and cards etc. Oxygen Forensic® Suite is able to extract and present forensically important information from backup files and chip-off images. Chinese Phones Support enables forensic experts to extract data from popular phone replicas and low-cost devices. Oxygen Forensic® Suite is able to acquire from Chinese devices important user data like event log, messages, contacts and files. 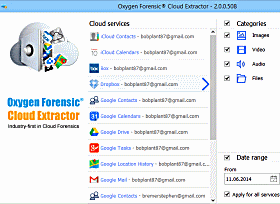 Oxygen Forensic® Detective acquires data from more than 20 cloud storages: iCloud contacts and calendar, Google Drive, Google Location History, Live contacts and calendar, OneDrive, Dropbox and Box as well as from a wide range of social media including Twitter and Instagram. 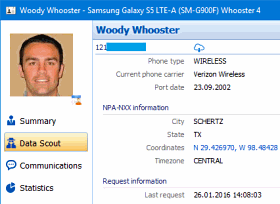 Data Scout retrieves subscriber data from any extracted phone number. It interacts with online lookup services to gather intelligence information of collected phone numbers from mobile device extractions. 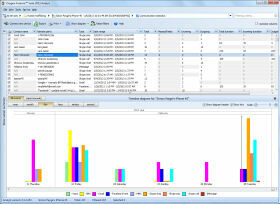 Various data viewers help experts to analyze extracted data in a convenient way. 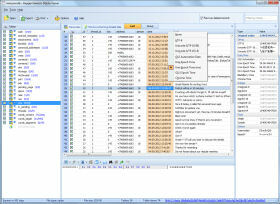 Oxygen Forensic® Suite has built-in HEX-viewer, picture viewer, music and video players, text viewer with code page converter, HTML, SQLite and Plist Viewers. 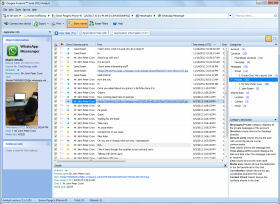 Dictionaries section shows all the words ever entered in device messages, notes and calendar. These are not words from the device system dictionary, they are from unique user dictionary that is created by device owners when using it. 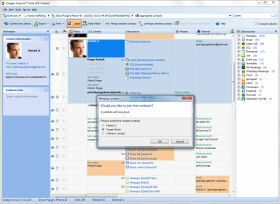 Event Log section contains users' voice communication: dialed, received and missed calls. Experts find here call time, duration and remote party. Recovering deleted calls is available for certain types of devices: iOS and Android OS smartphones. 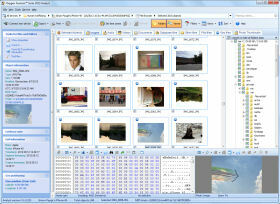 File Browser section is a powerful tool to access and analyze user photos, videos, documents and device databases. 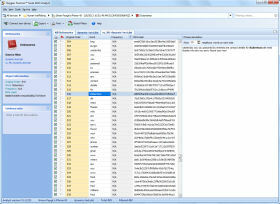 Built-in text, hex, multimedia, SQLite, Plist viewers, Geo-location and EXIF extractors help experts to view files and their properties. Global Search allows discovering user data in every section of the device. 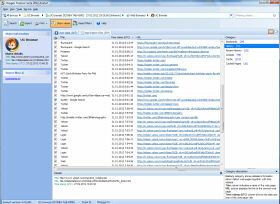 Tool offers searching for text, phone numbers, emails, geo coordinates, IP addresses, MAC addresses, Credit Card numbers. Regular expressions library is available for more custom search. iTunes backup found on a suspect computer is a regular practice due to the popularity of Apple devices. 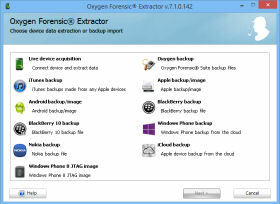 Oxygen Forensic® Suite offers experts an easy way to extract suspects' private data from the iTunes backup files. Key Evidence section offers a clean, uncluttered view of evidence marked as essential by investigators. Forensic specialists can mark certain items belonging to various sections as being essential evidence, then review them all at once regardless of their original location. 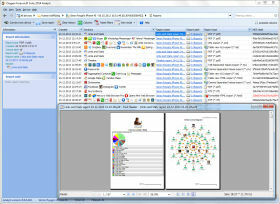 Quickly reveal social connections between users of mobile devices under investigation and their contacts. Links and Stats section provides a convenient tool to explore social connections between device users by analyzing calls, text, multimedia and e-mail messages and Skype activities. 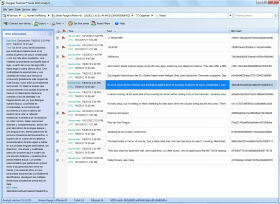 Messages section contains users' correspondence including SMS, MMS, Emails, iMessages and other depending on the device type. Recovering deleted messages is available for certain types of devices: iOS, Android OS and Symbian OS smartphones. Oxygen Forensic® Suite grants the access to popular Navigation applications and reveals POIs, routes and searches that device user made. 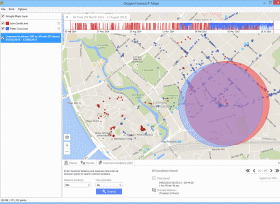 Oxygen Forensic® Detective acquires geo coordinates from all possible sources including: mobile devices, cloud storage, media cards, and imported images.Once analyzed, the data can be viewed within both online or offline maps. Passware Kit Mobile Module enables straightforward data acquisition and decryption regardless of the data source: smartphone, tablet, cloud service or backup file. 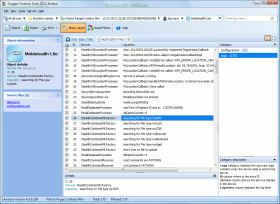 Passwords section displays logins and passwords extracted from default secure storage like keychain database. Applications files can also contain this valuable data. 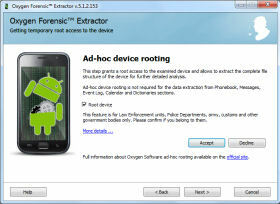 Oxygen Forensic® Suite parses them for it and displays nearby. Phonebook section contains users' contacts with all its data: name, occupation, phone numbers, addresses, emails, notes. Depending on the device experts gain access to the private information of the contacts, like birthdays, relatives' names and anniversaries. With locked devices being a top forensic problem we are doing our best to invent new methods to recover digital evidence even in the most challenging cases. 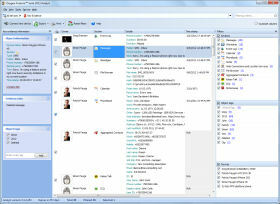 Oxygen Forensic® Suite supports a lot of mobile messengers like Skype, Facebook, WhatsApp, Viber and others. 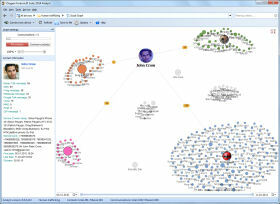 Social Graph visualizes complex connections inside crime groups. This is a highly adjustable workplace that allows forensic experts to review connections between mobile device owners and their contacts, pinpoint connections between multiple device owners, and detect their common contacts. 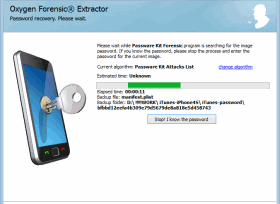 Oxygen Forensic® Suite can detect spyware apps installed on Android and Apple devices, discover and process their logs and configuration files. Oxygen Forensic® Suite supports all popular Web browsers for Android OS, Apple iOS, BlackBerry OS and Symbian OS platforms. Smartphone users tend to have a backup copy of their data in the cloud, provided by their device manufacturer or a 3rd party. Windows Phone platform has own storage to securely save users' contacts, messages, application data, settings, files and more. 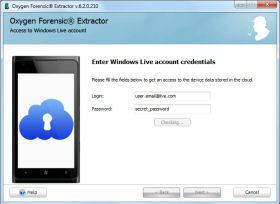 Oxygen Forensic® Suite is the industry-first forensic software that is able to extract data from My Windows Phone cloud. Oxygen Forensic® Detective currently offers the most verbose drone data parsing and analysis from physical dumps, drone logs and mobile applications. There are over 770,000 registered drones in the United States alone and much more all over the world.With the ability of drones to video, photograph, and even transport material it is no wonder law enforcement is rushing to obtain valuable digital data from them. This data contains not only images and videos but routes the device has been on from where it started to where it finished. Furthermore, data from these devices can show altitude, a direction of travel, speed, rotor speed, and even facial recognition data!